As the majority of fires occur when buildings are unoccupied automatic signalling is necessary to ensure that fire and rescue services are alerted at the earliest opportunity. Fire alarm systems should be designed, installed, commissioned and maintained by an accredited company to ensure compliance with the Chief Fire Officers’ Association (CFOA) Code of Practice. 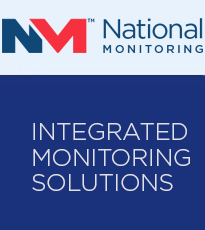 National Monitoring is one of only four companies approved by the Loss Prevention Certification Board (LPCB) to monitor fire alarm systems in the UK. LPCB has been certifying fire alarm and detection equipment for over 40 years; has one of the most comprehensively equipped laboratories in the world for testing these devices; continues to invest in new equipment to provide test facilities to meet emerging technologies in the fire detection field and our approval process is undertaken by a highly qualified team of expert scientists and engineers. Products must undergo a set of rigorous tests to ensure they meet, and continue to meet, quality standards set by a team of industry experts.